Social networking site Facebook users on Wednesday were unable to open their account from numerous devices and platforms, including the iPhone, Android, Blackberry, or Windows Phone devices and traditional computers. 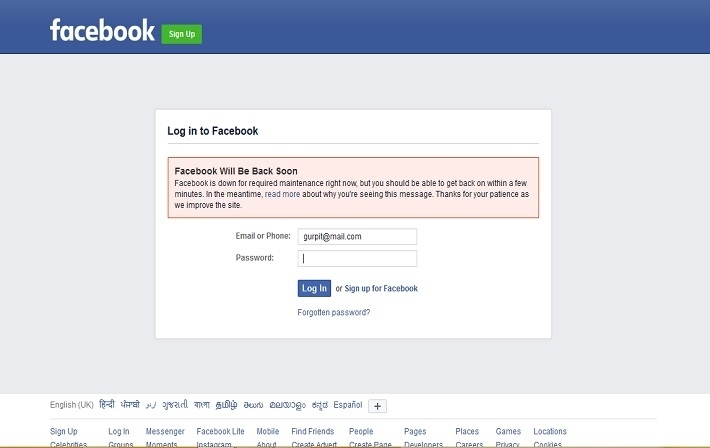 Users who tried to open their Facebook account receidved a message on their computer screen written Facebook will back soon. "Facebook is down for required maintenance right now but you should be able to back on while a few minutes in the meanwhile, read more about why you're seeing this message. Thanks for your patience as qe improve the site," read the notification.